It's a funny thing, Mother's Day. It's today in England, yet I am in Australia and the day is celebrated later in the year, as in America and some European countries. What is the meaning of the occasion? I know there are many that think it to be a commercial ploy to sell cards and gifts which profit only manufacturers and retail outlets. But I am not so cynical, and not really bothered about such negativities. Even though I have four children and love to hear from them on Mother's Day, I really just like to think about my mother, Kathleen. My sister took this photograph of our beautiful mum many years after she suffered a cruel and debilitating stroke, rendering her disabled and unable to speak. She lived until her late 80's....and spent more than 20 years locked in her body and without the means to tell us how she felt, or what she really needed. Writing my book, Catching Babies, helped me to keep Mum's spirit alive, but how I wish I was sending her a loving wish today just to see those smiling eyes shine and sparkle with happiness. I know all my sisters feel the same too. We so miss you mum. 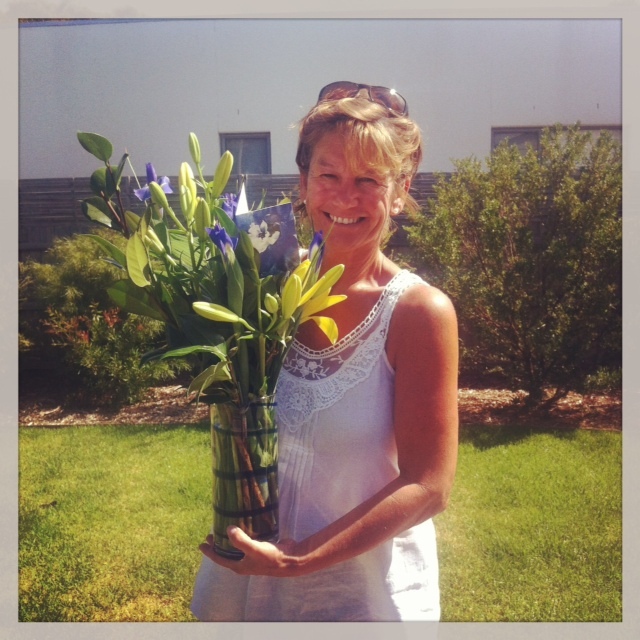 Yesterday a florist arrived at the door of my niece's home in Barwon Heads, Victoria. 'These are for Sheena Byrom' the man said. Flowers and a lovely card from my two daughters back in England. They couldn't see my eyes shining with happiness, but they'll read this and know that they did. I don't think there'll ever be another year like this one. As it leaves us, I wanted to write a post of all the heartwarming moments. Instead I made a film.